Saunders & Lingard, the British Property South West Regional Award winning estate agency, had a wonderful evening on Wednesday 17th October, when they welcomed guests to their unique new business premises launch celebration. What a success!! A wonderfully enthusiastic selection of supporters from the local business community, joined press and clients, who came along and were warmly welcomed by the Saunders & Lingard team with bubbly and canapes. 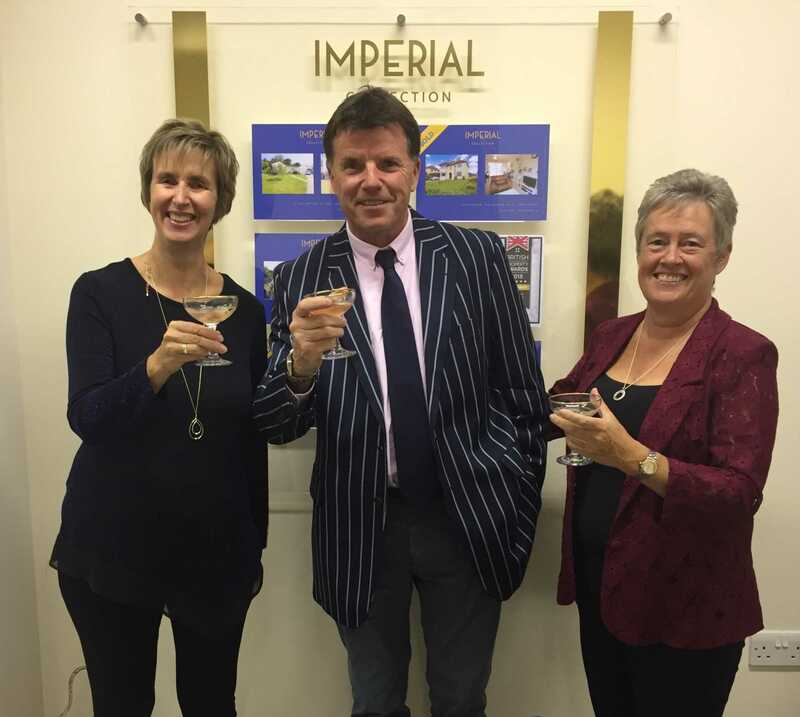 Special guest, Graham Barton of `Homes Under The Hammer` fame officially launched the evening with aplomb! The stunning new premises is situated in the Grade II listed buildings at Torquay Railway Station. It is a haven away from the madding crowds, where customers will be able to come in and have meetings in a discrete and relaxed atmosphere. Saunders and Lingard would like to say a MASSIVE thank you to all those that came along to celebrate and support us! Including: Torbay Development Agency, Torbay Business Forum, The Creative Marketing Agency, Rabbit Attack PR, The Mortgage Man, Accounting 4 Everything, Wollen Michelmore Solicitors, Safegard Security, Herald Express, Devon Live, Riviera Signs, English Riviera Magazine, GWR, Manor Print Shop, Network Rail, WBW Solicitors, Marsland Nash Associates and Clive Emson Auctioneers. Refreshing and unique, Saunders & Lingard are happy to discuss a marketing plan to aid the sale of your property and are looking forward to continuing to help their customers open the door to a better kind of estate agency in 2018, so don`t hesitate to call if you`d like a complimentary property valuation. Picture Left to right: Sara Fiddes, Graham Barton, Sue Saunders.